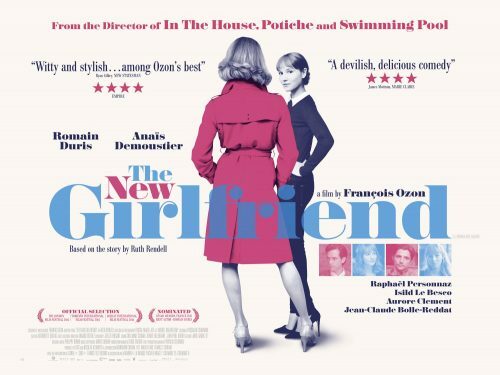 The new film, The New Girlfriend, from François Ozon has not only got a nice poster that asks more questions about the film than the trailer below. The plot is simple but as it’s a film by François Ozon don’t expect it to go normally even if it is based on a short story by Ruth Rendell! After the death of her best friend, Claire falls into a deep depression, but a surprising discovery about her friend’s husband David gives her a new taste for life.